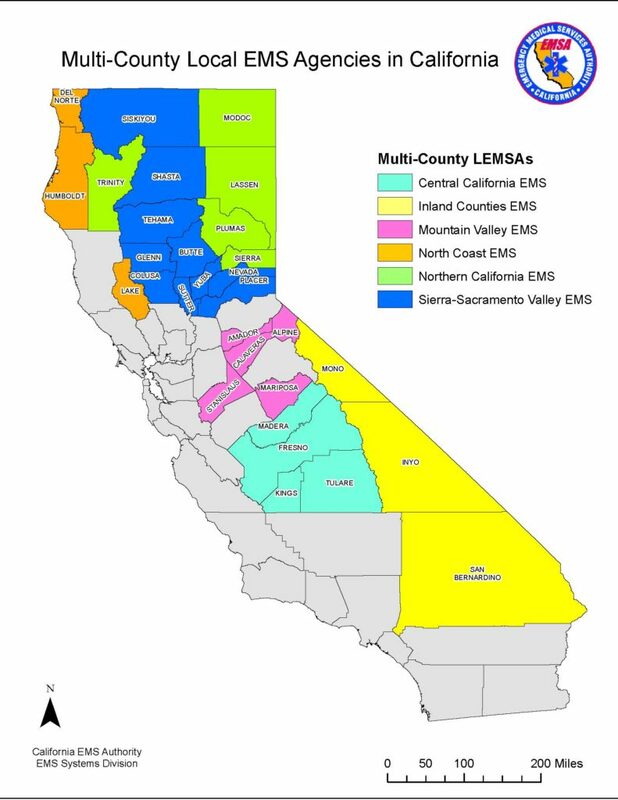 Of the seven regional EMS systems in California, six are designated as multicounty EMS agencies and are providing emergency medical services for 30 counties within California. A multicounty EMS agency is an entity of three or more counties that serve rural areas with extensive tourism; however, the configuration may not fully achieve regionalization as an efficient EMS system, as determined by the EMS Authority. The agency must be designated by its member counties as the local EMS agency. The EMS Authority contracts with and allocates State General Funds to established multicounty EMS agencies that meet specific requirements. The funding is used to maintain the EMS system and continue essential minimum program activities, and to improve the EMS system. The EMS Authority will monitor the multicounty EMS agency records and program performance on a quarterly basis. The EMS Authority may also conduct periodic site visits to review administrative documentation and any product produced under the terms of the contract.